More than 60 per cent of Canadians are either delaying or outright cancelling big purchases, while a quarter of them are spending less on vacations over concerns about the state of the economy, according to a CTV News/Nanos survey on consumer confidence. 12 per cent said they would cancel. When it comes to their vacations, even in the chill of mid-winter, 25 per cent of Canadians said they would be spending less this year, while 12 per cent would outright cancel their trips because of fears over what they perceive as a weak economy. 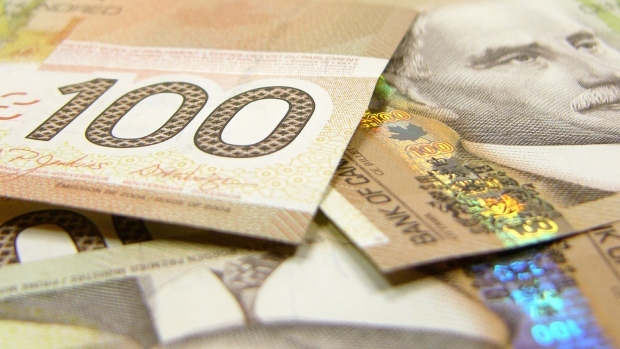 It doesn’t mean Canadians don’t have the cash on hand to spend, but the fact they’re choosing not to creates an “artificial negative environment,” said Nanos. A second CTV News / Nanos survey may shed some light on why so many Canadians are holding on to their cash: the effects of a low dollar. That vast majority of Canadians feel the low value of the loonie has had a somewhat negative (43 per cent) or a negative (37%) effect on them personally. Meanwhile, only three per cent of Canadians feel the low dollar has had a positive effect. In the Prairies, where people in the hard-hit energy-producing regions are reeling, 51 per cent described the personal impact of the low dollar as negative. “So (Canadians are) hoarding and holding on to their cash because they’re concerned about the weakness in the Canadian economy, the weak Canadian dollar, the weak price of a barrel of oil. Roll that all up and what you have is a very negative consumer frame right now,” said Nanos. Despite all the pessimism, just over half of Canadians are either confident (14 per cent) or somewhat confident (38%) in the ability of the federal government and the Bank of Canada to manage the value of the dollar. Meanwhile, over two-fifths of Canadians are either somewhat not confident (22 per cent) or not confident (21 per cent). When it comes to government spending, just under half of Canadians (45 per cent) feel the federal government should spend what it promised it would spend during the election campaign, while 21 per cent say they should spend even more. Meanwhile, 28 per cent believe the government should spend less that what it promised. Methodology: Both Nanos Research surveys were commissioned by CTV News and were conducted between Jan. 30 and Feb. 1, 2016. It was a random survey of 1,000 Canadians, and is accurate to 3.1 percentage points, plus or minus, 19 times out of 20.